Very Records Tweets This thread currently has 787 views. Last show tonight.. thanks to EVERYONE! What's this?? Vince has done a remix of an OMD song? Sounds great to me! I wonder which one?? 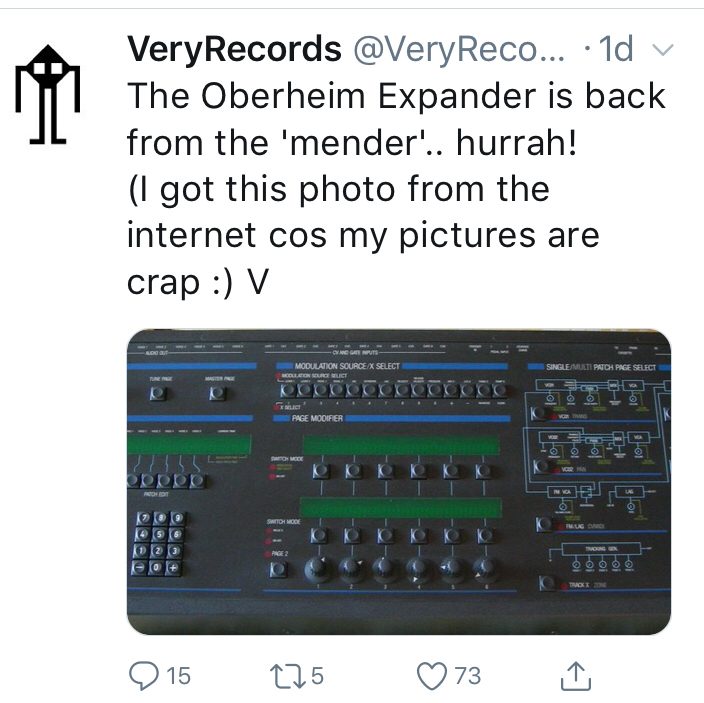 I'd assumed this would be for the upcoming new single they have in the works for the 40th anniversary (rather like Erasure, their anniversary year releases are planned to span across more than one calendar year). It was rumoured a year ago that they would be bringing out a new singles compilation as part of this at some point and that a brand new track had been held back from the Punishment of Luxury sessions to act as a new single to promote this. I don't know if this is still the case but a tweet from Andy McCluskey right before Christmas referred to 2019 having several treats in store including more live shows, various music 'packages' (or some similar wording) and 'a new single' so it looks like that element may still be happening. But my guess would be its the new song. I don't know the title of it yet, though.